Reverse-Flash statue features the likeness of actor Tom Cavanagh! As seen in the TV series The Flash. The Flash TV Series Reverse-Flash Statue. 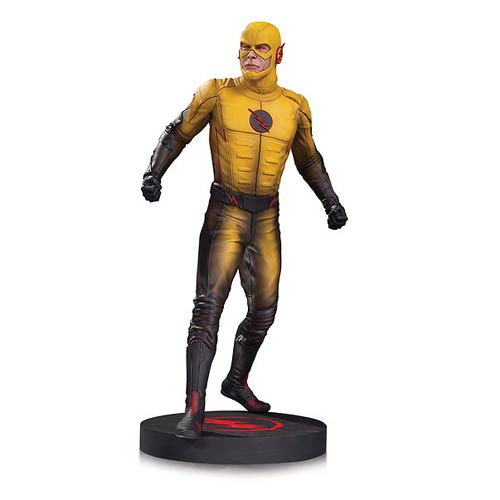 Based on his appearance in the hit TV series The Flash, antagonist Reverse-Flash in resin statue form features the likeness of actor Tom Cavanagh and measures about 12 1/2-inches tall. Act quickly! Don't let him get away! Ages 13 and up.